England U21 star of Nigerian descent Tammy Abraham has expressed his desire to return to his parent club Chelsea at the end of his loan spell with Championship club Aston Villa. Although his goals have dried up in recent weeks, the Nigeria Football Federation target has notched 21 goals in 32 league appearances for Aston Villa and has provided two assists. 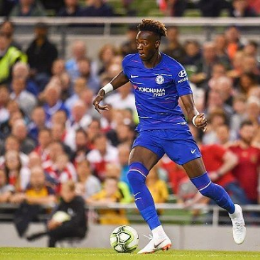 Initially when the season started, Abraham wanted to remain at Chelsea and fight for a first-team spot but had to switch clubs for the third straight season after he was overlooked for selection by manager Maurizio Sarri. ''That's the aim going into next season. As a young kid, I've always believed I will play for Chelsea. I always believe that,'' Abraham told Sky Sports News. Abraham has appeared in three matches for Chelsea's first-team, against Liverpool and Leicester City in the Premier League in May 2016, plus the Community Shield tie vs Manchester City in August 2018.